MatadorU students Karin-Marijke Vis and Coen Wubbles have trip ideas and budget travel tips for South America’s most expensive country. Geographically speaking, French Guiana belongs to South America, but it’s officially an overseas department of France and hence part of Europe. With that status come the euro, and the cost of living to match. Fortunately, we’ve found ways to enjoy the country without going bankrupt. 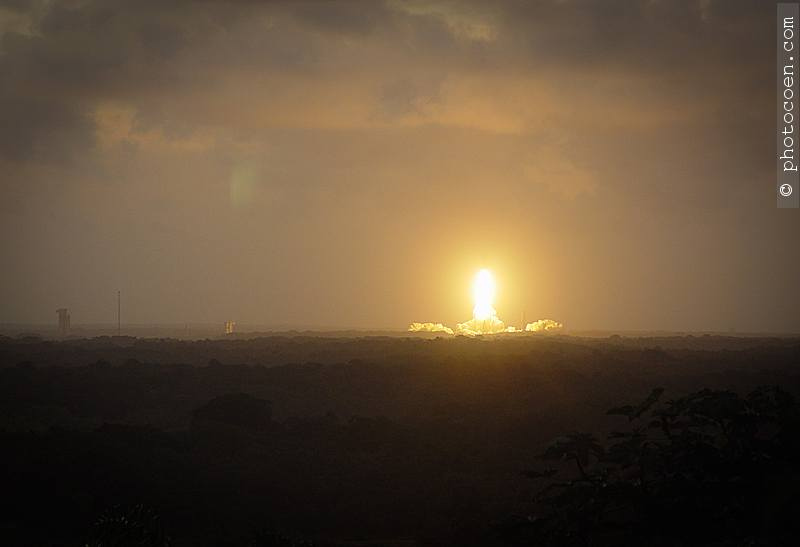 The Centre Spatial Guyanais in Kourou is a combined research and operating base for Europe’s space programs. There are 8-10 launches per year, and the website has scheduling info. Watching a launch is free of charge; we registered by email to apply for tickets. In Kourou, buses took us to a hillside where we followed the countdown on a large screen. Even at 10km distant, we could see the enormous cloud of vapor underneath the rocket as it lifted. As it disappeared into space, it was followed by thundering rumbles that made the air tremble. Note that there are plenty of places to watch the launches independent of a tour. All along the coast, locals enjoy the show. The CSG also offers a 3-hour tour of the Space Centre complex, free of charge. It’s in French only, unless you come with a group of 20, but some guides speak a bit of English and will offer some explanation afterwards. The only paid venue at the Space Centre is the museum (€6), which has several exhibits and an area with coloring books and Lego rocket building stuff for kids. From Cayenne (French Guiana’s capital and largest city) to Kourou: by public minivan, 60km, €10. In the far northwest corner of the country, near the Maroni River that marks the border with Suriname, lies the coastal community of Awala-Yalimapo. Its beach, Plages les Hattes, is only 3km long, but during high season (May-July) as many as 80 leatherbacks lay their eggs here every night, along with a couple dozen green and olive turtles. Projet Mirette is a French research program on leatherbacks led by Jean Yves Georges. We got to join their team one night as they counted eggs, measured and weighed the turtles, and attached a GPS device to their shells. 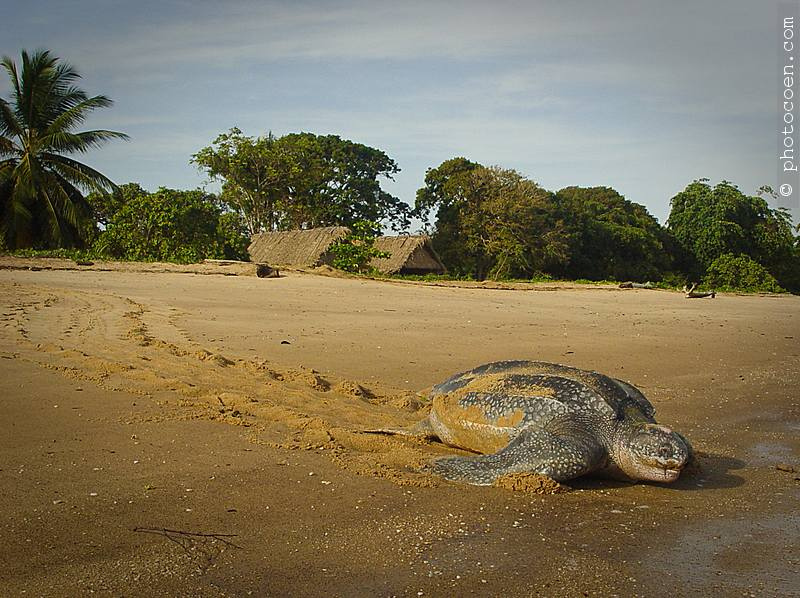 To learn how to observe the turtles without disturbing them, visit KWATA in Cayenne, or Maison de la Reserve in Awala-Yalimapo. 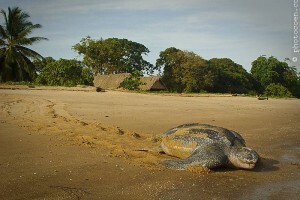 KWATA works in cooperation with WWF to protect the turtles. Besides providing information, they’re always on the lookout for volunteers on the beaches near Cayenne. They charge a €20 signup fee for insurance, and you can join for as many weeks/months as you like. There are dozens of well-marked trails through rainforest, savannah, and along the coast. They are free of charge, the majority well signposted, and doable with kids. Hiking gave us our best chances to spot monkeys, birds, and odd insects like the big, shiny-blue morpho butterfly. On the Rorotá Trail near Cayenne, we saw a dark brown mother sloth with a baby clinging to her chest just two meters from the trail, ever so slowly climbing her way up a tree. Apparently, it’s hard to walk this trail without spotting sloths. Another favorite was the Favard Trail near Kaw, southeast of Cayenne, where we spotted dozens of beautiful purple-yellow poison dart frogs. They live around the large boulder on the trail summit, which is carved with as yet undecipherable Amerindian rock art. There’s a lot of wildlife to see in French Guiana, with 90% of the country consisting of rainforest, though not all places are accessible without a guide. 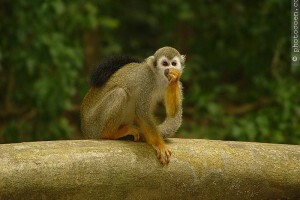 Tour operators, independent guides, and jungle lodges organize wildlife-spotting tours, but they come at a price. Guides, some of them lodge owners, run hikes into the jungle that vary from a couple of hours to a fully equipped, multiple-day adventure. A boat trip to the wetlands of Kaw is a popular tourist activity. There are day trips, day-and-evening trips, and 24-hour trips. The latter include an overnight stay in a carbet — an imitation Amerindian jungle hut. 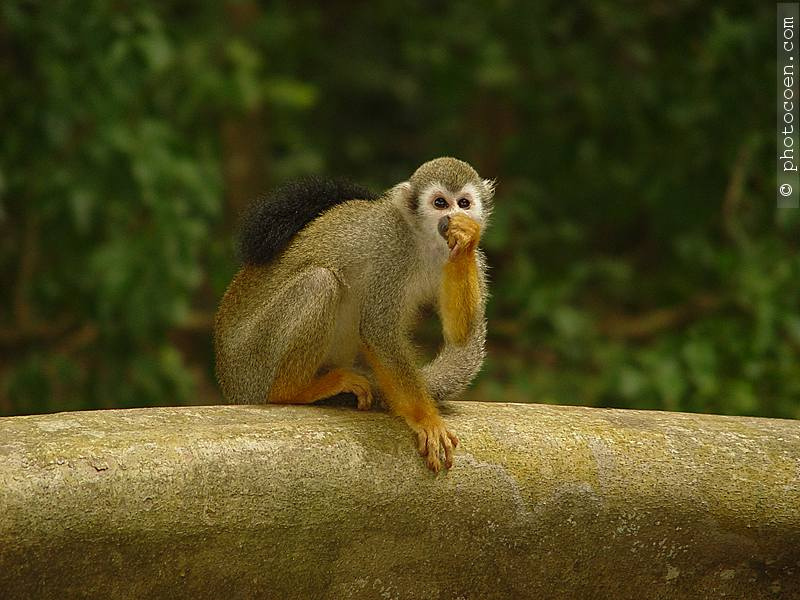 During these trips you’re likely to see waterfowl, capybaras, and four types of caimans. Expect to pay €65-150, including room and board. For DIYers, the coast and mangroves have lots of waterfowl, including the protected red ibis. The old harbor at Cayenne is a favorite spot for bird watching. Organised tours: the tourist office in Cayenne (12, Rue Lalouette) has brochures. Check the website of CGG (Organization of French Guiana Guides) for tailored tours. Note that only some of the guides speak English. 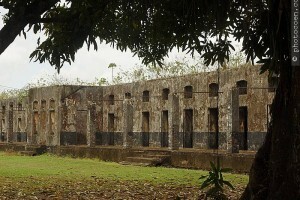 From 1852 to 1953, the French sent prisoners to French Guiana, much as the British used Australia. 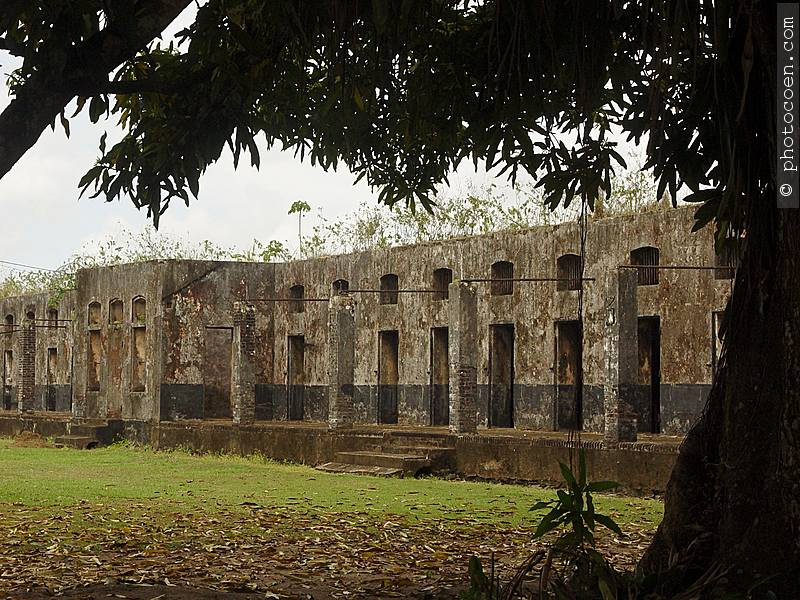 The ruins of these prisons are one of the country’s main tourist attractions. St. Laurent de Maroni is a border town in northwest French Guiana, located on the Maroni River. Here, we visited the former transportation camp, through which all prisoners entered the country. You can walk the premises for free, but €5 get you an informative 1.5-hour guided tour and access to the more interesting parts. Our guide explained in great detail what life was like in the prison camp, and as a bonus showed us Papillon’s carvings in the floor. Normally, tours are in French. Inquire at the tourist office next door, where you buy the ticket, to see if they can get a group together with an English-speaking guide. Better known than the transportation camp are the Salvation Islands (Îles du Salut) near Kourou, aptly described in Henry Charrière’s autobiographic novel, Papillon. Since these prisons are located offshore, they don’t come cheap. From Kourou, boats and ferries run to Iles Royale and/or St. Joseph. We haven’t visited the islands (yet), but others say it’s worth the trip and that it’s quite different from the transportation camp in St. Laurent. Guided tours: several times a day between 8am and 4:30pm Mon-Sat; 9:30 and 11am Sun. Tourist office is open during these hours as well. The tourist office in Kourou (2C Rue Palika, ot-kourou@orange.fr) has brochures for sea tours to the islands via sailboat and catamaran. Expect to pay €45-60. The daily ferry to the Salvation Islands costs €39. Departure is at 7:50am from Ponton des Pecheurs (the port) at the end of Vieux Bourg (Old Harbor) at Avenue de Charles de Gaulle. Return from the islands is at 5pm. Note: The islands are closed on the day of and day before a rocket launch. Guidebooks such as Lonely Planet South America: On a Shoestring and Moon Handbooks South America cover the basics, but provide no or limited information on less popular tourist options, such as the walking trails. To those who read French, I recommend the Guide de Guyane by Philippe Boré (2010/2011, ISBN 978-2-9511548-6-5, €19,70). It’s available in most bookstores in-country. The 385-pager gives regular guidebook suggestions for accommodations, food, and other practicalities, but centers on the flora and fauna of the country. 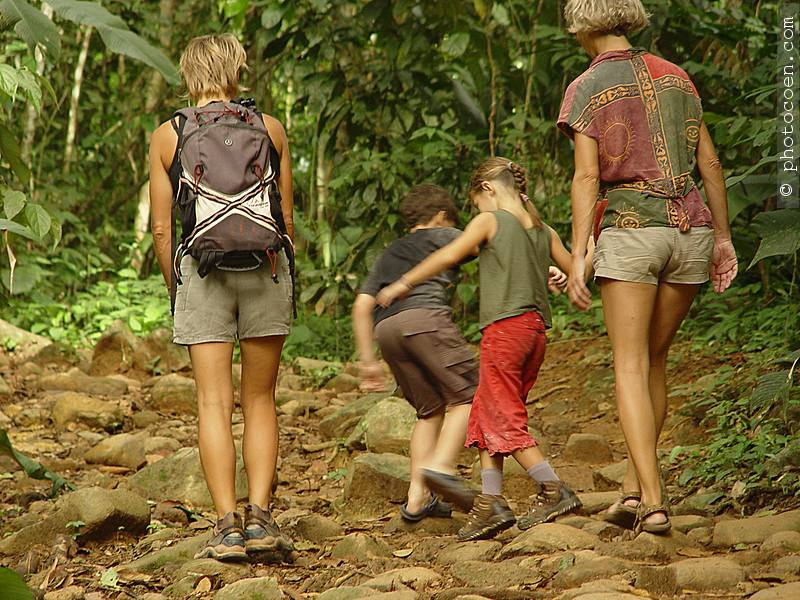 It has detailed information on 36 jungle trails and walking tours in the historic towns of Cayenne and St. Laurent de Maroni.